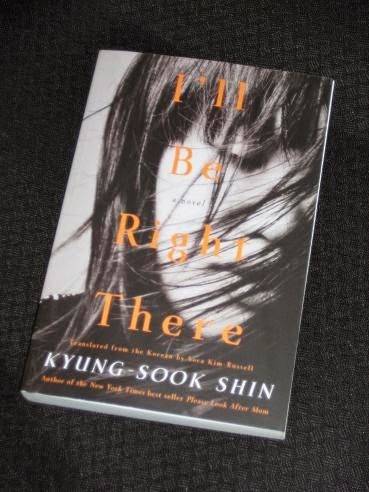 Shin Kyung-sook’s I’ll Be Right There (translated by Sora Kim-Russell, review copy courtesy of Other Press) is an excellent novel set in and around Seoul in the 1980s. It all begins when a middle-aged lecturer, Jung Yoon, receives a call from a former boyfriend, in which she finds out that her favourite teacher from her university days is close to death. As she gazes out of the window, with snow starting to fall slowly on the city, her mind drifts inevitably to her time as a student. Let’s get this out of the way now – I loathed Please Look After Mother. However, I’ll Be Right There is a far, far better book. It’s a story which as well as portraying those pivotal, magical years bridging childhood and adulthood, touches on a fascinating period of Korean history, where students demonstrated on the streets, in a way unimaginable now for us in the West, in an attempt to change the hardline right-wing government. What, up to this point, has been an abstract, theoretical political issue, suddenly becomes frighteningly real. Shin switches the tempo superbly, from a casual, steady walk through a quiet city to a heart-stopping, full-speed flight for survival. From this point on, even when the political side stays in the background, we know that it’s there, waiting to play a role in events again. On the whole, though, I’ll Be Right There focuses on the micro, rather than the macro, and much of the story is centred on the small group of young adults, each of whom has their own issues to work through. Perhaps the most fascinating figure is Miru, shy to the point of abstraction, a woman who writes down what she eats in a journal, always wears the same skirt whatever the weather – and has unsightly scars on her hands. Despite her shyness, she builds up a close friendship with Yoon, one which helps both of them in their attempts to leave the past behind. Strangely enough, though, this friendship threatens the blossoming relationship between Yoon and Myungsuh, as the ghosts of the past prove trickier to ignore than they had all hoped. The structure of the novel, with Yoon’s narrative chapters being followed by short extracts from Myungsuh’s journal, allows the reader to see the way the two can act at cross-purposes, never quite getting to where they would like to be. For every step they take towards each other, there always seem to be a few steps back, either because of the troubles or because of Miru. I’ll Be Right There is an excellent read, and it has the potential to do very well for Shin in the Anglosphere. Sora Kim-Russell’s translation was excellent, balancing on the tricky tightrope between literality and over-westernising without toppling to one side, and Charles Montgomery (over at Korean Literature in Translation) does a great job of highlighting this in his review. It’s a book which you need to keep reading, and want to get back to after you’ve stopped; more importantly, it’s also a book which stays with you long after you’ve finished. Whether this will be a welcome comparison or not, I’m not really sure, but for a J-Lit fan like myself, there are obvious parallels with another big hit in translated fiction, Haruki Murakami’s Norwegian Wood. This begins with the first scene, where a middle-aged protagonist is whisked back to memories of their glory days, but there are far more similarities than that. The setting of a time of student unrest, the gloomy undertones of a depressed generation, the hours of walking through the big city – all are reminiscent of Murakami’s hit. However, I’ll Be Right There is a lot more than just a copy of Norwegian Wood. Where Murakami leaves the political side in the background, having Toru avoid the university while it’s going on, Shin confronts it head on, pushing her characters onto the battlefield, refusing to allow them to hide away in safety. While Yoon, Myungsuh, Miru and Dahn also seek refuge in the arts, unlike Toru their escape isn’t Jazz, but literature, and mentions abound of Emily Dickinson, Rilke’s Malte Laurids Brigge and even Natsume Soseki. Yes, there are echoes of Murakami’s Bildungsroman here, but this is most definitely Shin’s own story – and it’s a very good one.